KTP Advisors, formerly Retiree Benefit Solutions, has relocated to Newport, RI. This week is an eventful one for the City of Newport which, in conjunction with Sail Newport, is hosting an America’s Cup World Series event this week. The event features the best sailors in the world sailing in AC 45 catamarans. Like KTP’s advisory services, sailboat racing requires technical expertise, a keen understanding of environmental variables and a clear understanding of how everything will be funded. Like well-managed corporate and municipal benefit programs, the teams that win analyze all the variables effectively and use this information to make the best strategic decisions. 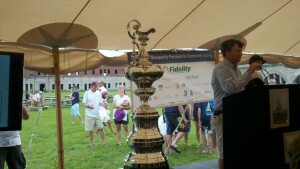 We are a proud sponsor of Sail Newport. Sail Newport is Rhode Island’s public access sailing center, providing lessons to children and adults, including scholarships to children who might not otherwise have the ability to enjoy this confidence-building sport. Sail Newport also brings several world-class events to the City of Newport each year driving significant economic activity and furthering the growth of Rhode Island’s marine trades industry – widely regarded as the best in the world. Good luck to all the contestants in the racing which starts today!